Islamic philosophy (الفلسفة الإسلامية) is a branch of Islamic studies, and is a longstanding attempt to create harmony between philosophy (reason) and the religious teachings of Islam (faith). Islamic philosophy, as the name implies, refers to philosophical activity within the Islamic milieu. The main sources of classical or early Islamic philosophy are the religion of Islam itself (especially ideas derived and interpreted from the Quran); Greek philosophy which the early Muslims inherited as a result of conquests when Alexandria, Syria and Jundishapur came under Muslim rule; and pre-Islamic Iranian and Indian philosophy. Many of the early philosophical debates centered around reconciling religion and reason as exemplified by Greek philosophy. In early Islamic thought two main currents may be distinguished, Kalam, dealing mainly with theological questions, and Falsafa, founded on interpretation of Aristotelian and Neoplatonic philosophy. From the ninth century onward, owing to Caliph al-Ma'mun and his successor, Greek philosophy was introduced among the Persians and Arabs, and the Peripatetic school found representation in Al-Kindi, Al-Farabi, Ibn Sina (Avicenna), and Ibn Rushd (Averroës). During the Abbasid caliphate in Spain, Arabic philosophic literature, translated into Hebrew and Latin, transmitted Greek, Hindu, and other pre-Islamic knowledge to the Christian West and helped to make Aristotle known in Christian Europe. Islamic philosophy influenced Judaic and Christian thinkers, and contributed to the development of modern European philosophy. Ibn Rushd’s ideas on the separation of philosophy and religion, further developed by the Averroist school of philosophy in Europe, were later influential in the development of modern secularism. The attempt to fuse religion and philosophy is difficult because there are no clear preconditions. Philosophers typically hold that one must accept the possibility of truth from any source and follow the argument wherever it leads. On the other hand, classical religious believers have a set of religious principles that they hold to be unchallengeable fact. Given these divergent goals and views, some believe that it is not possible to be simultaneously a philosopher and a true adherent of Islam, which is believed to be a revealed religion. In this view, all attempts at synthesis ultimately fail. Others believe that a synthesis between Islam and philosophy is possible. One way to find a synthesis is to use philosophical arguments to prove that accepted religious principles are true, a technique commonly found in the writings of many religious traditions, including Judaism, Christianity and Islam. Another way to approach a synthesis is to abstain from holding any religious principles of one's faith as true, unless they can be independently arrived at from a philosophical analysis. A third path is to apply analytical philosophy to religious questions, such as the nature and existence of God, the nature of revelation and revealed truth, the role of human beings in the universe, the reconciliation of religious truth with science, and the meaning and interpretation of religious doctrines. Islamic philosophy may be defined in a number of different ways, but the perspective taken here is that it represents the style of philosophy produced within the framework of Islamic culture. This description does not suggest that it is necessarily concerned with religious issues, nor even that it is exclusively produced by Muslims (Oliver Leaman, Routledge Encyclopedia of Philosophy). Islamic philosophy, as the name implies, refers to philosophical activity within the Islamic milieu. The main sources of classical or early Islamic philosophy are the religion of Islam itself (especially ideas derived and interpreted from the Quran); Greek philosophy which the early Muslims inherited as a result of conquests when Alexandria, Syria and Jundishapur came under Muslim rule; and pre-Islamic Iranian and Indian philosophy. Many of the early philosophical debates centered around reconciling religion and reason as exemplified by Greek philosophy. Early Islamic philosophical activity centered around the Academy (House of Wisdom) in Baghdad, which was supported by the caliphs and was known for its tolerance and freedom of scientific inquiry. Within the Academy, there were groups who questioned the authority of the caliph, introducing political issues and theoretical problems. Another group drew upon older traditions (materialist, Manichaean, Jewish, Christian, Zoroastrian, Arabian, and Indian) to identify supposed contradictions and inconsistencies in the fundamental Islamic doctrine of revealed truth. Greek thought became a popular tool for constructing and defining Islamic theology, and for providing a rational defense of Revealed teachings. In early Islamic thought two main currents may be distinguished. The first is Kalam, that mainly dealt with theological questions, and the other is Falsafa, founded on interpretation of Aristotelian and Neoplatonic philosophy. God is an absolute unity, and no attribute can be ascribed to Him. All knowledge necessary for the salvation of man emanates from his reason; humans were able to acquire knowledge before, as well as after, the existence of Revelation, solely by the light of reason. This fact makes knowledge obligatory upon all men, at all times, and in all places. The Mutazilites, compelled to defend their principles against the orthodox Islam of their day, looked for support in philosophy, and were among the first to pursue a rational theology called Ilm-al-Kalam (Scholastic theology); those professing it were called Mutakallamin. This appellation became the common name for anyone seeking philosophical demonstration in confirmation of religious principles. The first Mutakallamin had to debate both the orthodox Muslims and the non-Muslims, and they may be described as occupying the middle ground between those two parties. But subsequent generations were, to a large extent, critical towards the Mutazilite school, especially after formation of the Asharite concepts. The Ash'ari theology was instrumental in drastically changing the direction of Islamic theology, separating its development radically from that of theology in the Christian world. In contrast to the Mutazilite school of theologians, the Asharite view was that comprehension of the unique nature and characteristics of God were beyond human capability, and that, while man had free will, he had no power to create anything. It was a Taqlid-based view which did not assume that human reason could discern morality. From the ninth century onward, owing to Caliph al-Ma'mun and his successor, Greek philosophy was introduced among the Persians and Arabs, and the Peripatetic school began to find able representatives among them, such as Al-Kindi, Al-Farabi, Ibn Sina (Avicenna), and Ibn Rushd (Averroës), all of whose fundamental principles were considered as criticized by the Mutakallamin. During the Abbasid caliphate a number of thinkers and scientists, many of them non-Muslims or heretical Muslims, played a role in transmitting Greek, Hindu, and other pre-Islamic knowledge to the Christian West. They contributed to making Aristotle known in Christian Europe. Three speculative thinkers, the two Persians al-Farabi and Avicenna and the Arab al-Kindi, combined Aristotelianism and Neoplatonism with other ideas introduced through Islam. They were considered by many as highly unorthodox and by some were even described as non-Islamic philosophers. In Spain, Arabic philosophic literature was translated into Hebrew and Latin, contributing to the development of modern European philosophy. The philosopher Moses Maimonides (a Jew born in Muslim Spain) was also influenced by Arab philosophical literature. Aristotle attempted to demonstrate the unity of God; but his view that matter was eternal implied that God could not be the Creator of the world. The assertion that God's knowledge extends only to the general laws of the universe, and not to individual and accidental things, is tantamount to denying prophecy. The faith of the Mutakallamin was also challenged by the theory of intellect. The Peripatetics taught that the human soul was only an aptitude, a faculty capable of attaining every variety of passive perfection—and that through virtue and the acquisition of knowledge and understanding, it became qualified for union with the active intellect which emanates from God. To admit this theory would be to deny the immortality of the individual soul. The Mutakallamin therefore sought to establish a system of philosophy which would demonstrate the creation of matter, and they adopted the theory of atoms as enunciated by Democritus. They taught that atoms possess neither quantity nor extension. Originally, atoms were created by God, and God continues to create them as occasion requires it. Bodies come into existence or die, through the aggregation or the separation of these atoms. This theory did not remove the objections of philosophy to a creation of matter. If it is supposed that God commenced His work at a certain definite time by His "will," and for a certain definite object, it must be admitted that He was imperfect before accomplishing His will, or before attaining His object. In order to obviate this difficulty, the Motekallamin extended their theory of the atoms to Time, and claimed that just as Space is constituted of atoms and vacuum, Time, likewise, is constituted of small indivisible moments. Once the creation of the world was established, it was easy for them to demonstrate the existence of a Creator, and that God is unique, omnipotent, and omniscient. The twelfth century saw the apotheosis of pure philosophy and the decline of the Kalam, which, attacked by both the philosophers and the orthodox, gradually perished. This supreme exaltation of philosophy may be attributed, in a sense, to two opponents of philosophy, the Sufi mystic theologian Al-Ghazali (1005-1111) among the Persians, and the poet Judah ha-Levi (1140) among the Jews. Ghazali wrote Tahafut al-Falasifa (The Destruction of the Philosophers), an attack on philosophers, asserting that philosophy had no role in the discovery of truth. This work produced a reaction favorable to philosophy, including a refutation by Ibn Rushdi, inducing the philosophers to make their theories clearer and their logic more consistent. The influence of this reaction brought forth the two greatest philosophers of the Islamic Peripatetic school, Ibn Bajjah (Avempace) and Ibn Rushd (Averroes), both of whom undertook the defense of philosophy. The Jewish poet, Judah ha-Levi, also seeking to free his religion from what he saw as the shackles of speculative philosophy, wrote the "Kuzari," in which he sought to discredit all schools of philosophy. He censured the Mutakallamin severely for seeking to support religion by philosophy, saying, "I consider him to have attained the highest degree of perfection who is convinced of religious truths without having scrutinized them and reasoned over them" ("Kuzari," v.). He reduced the chief propositions of the Mutakallamin, to prove the unity of God, to ten in number, describing them at length, and concluding in these terms: "Does the Kalam give us more information concerning God and His attributes than the prophet did?" (Ib. iii. and iv.) Judah ha-Levi also opposed Aritotelianism for its preoccupation with details and criticism; Neoplatonism had some appeal to his poetic temperament. Ibn Rushd (or Ibn Roshd or Averroës), the contemporary of Maimonides, closed the first great philosophical era of the Muslims. The boldness of this great commentator of Aristotle aroused the full fury of the orthodox, who, in their zeal, attacked all philosophers indiscriminately, and had all philosophical writings burned. The theories of Ibn Rushd did not differ fundamentally from those of Ibn Bajjah and Ibn Tufail, who follow the teachings of Ibn Sina and Al-Farabi. Like all Islamic Peripatetics, Ibn Rushd admitted the hypothesis of the intelligence of the spheres and the hypothesis of universal emanation. These hypotheses, in the mind of the Arabic philosophers, did away with the dualism involved in Aristotle's doctrine of pure energy and eternal matter. Ibn Rushd’s ideas on the separation of philosophy and religion, further developed by the Averroist school of philosophy in Europe, were later influential in the development of modern secularism. Ibn Rushd is, thus, regarded as the founding father of secular thought in Western Europe. While Al-Farabi, Ibn Sina, and other Persian and Muslim philosophers barely touched subjects that encroached on religious dogmas, Ibn Rushd devoted considerable attention to them. He said, "Not only is matter eternal, but form is potentially inherent in matter; otherwise, it were a creation ex nihilo" (Munk, "Mélanges," 444). According to this theory, the existence of this world is not only a possibility, as Ibn Sina declared—in order to make concessions to the orthodox—but is also a necessity. Driven from the Islamic schools, Islamic philosophy found a refuge with the Jews, who transmitted it to the Christian world. A series of eminent thinkers, such as Ibn Tibbon, Narboni, and Gersonides—joined in translating the Arabic philosophical works into Hebrew and commenting upon them. The works of Ibn Rushd especially became the subject of their study, due in great measure to Maimonides, who, in a letter addressed to his pupil Joseph ben Judah, spoke in the highest terms of Ibn Rushd's commentary. Some historians and philosophers do not agree with this account, claiming that it is based on Western understanding, and describe this era in a completely different way. Their main objection concerns the influence of different philosophers on Islamic philosophy, especially the comparative importance of eastern intellectuals such as Ibn Sina and of western thinkers such as Ibn Rushd. The oldest Jewish religio-philosophical work extant is that of Saadia Gaon (892-942), Emunot ve-Deot, "The Book of Beliefs and Opinions." In this work, Saadia discusses the questions that interested the Mutakallamin, such as the creation of matter, the unity of God, the divine attributes, and the soul. Saadia criticized other philosophers severely. For Saadia there was no problem as to creation: God created the world ex nihilo, just as the Bible attests; and he contested the theory of the Mutakallamin in reference to atoms, which, he declares, is just as contrary to reason and religion as the theory of the philosophers professing the eternity of matter. To prove the unity of God, Saadia used the demonstrations of the Mutakallamin. Only the attributes of essence (sifat al-dhatia) can be ascribed to God, but not the attributes of action (sifat-al-fi'aliya). The soul is a substance more delicate even than that of the celestial spheres. Here Saadia controverted the Mutakallamin, who considered the soul an "accident" 'arad (compare Guide for the Perplexed i. 74), and employed the following one of their premises to justify his position: "Only a substance can be the substratum of an accident" (that is, of a non-essential property of things). Saadia argues: "If the soul be an accident only, it can itself have no such accidents as wisdom, joy, or love." Saadia was thus in every way a supporter of the Kalam; and if at times he deviated from its doctrines, it was owing to his religious views; just as the Jewish and Muslim Peripatetics stopped short in their respective Aristotelianism whenever there was danger of contradicting orthodox religion. Ibn Rushd was the last major proponent of the discipline of Islamic philosophy usually called the Peripatetic Arabic School. After his death, philosophical activity declined significantly in western Islamic countries, Spain and North Africa, though it persisted for much longer in the Eastern countries, in particular Iran and India. The shift of political power in Western Europe (Spain and Portugal) from Muslim to Christian control ended the practice of Muslim philosophy in Western Europe, and led to some loss of contact between the "west" and the "east" of the Islamic world. Muslims in the "east" continued to do philosophy, as is evident from the works of Ottoman scholars and especially those living in Muslim kingdoms within the territories of present day Iran and India, such as Shah Waliullah and Ahmad Sirhindi. Logic has continued to be taught in religious seminaries up to modern times. Later schools of Islamic philosophy, such as those founded by Ibn Arabi, Suhrawardi and Mulla Sadra, are of particular importance, as they are still active in the Islamic world. 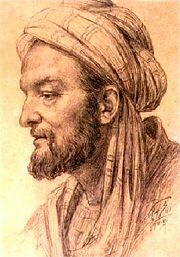 Ibn Khaldun (1332-1406), in his Muqaddimah (the introduction to a seven-volume analysis of universal history), advanced social philosophy in formulating theories of social cohesion and social conflict. The tradition of Islamic philosophy is still very much alive today, despite the belief in many Western circles that this tradition ceased after the golden ages of Suhrawardi’s Hikmat al-Ishraq (Illumination Philosophy) or, at the latest, Mulla Sadra’s Hikmat-e-Mota’aliye or Transcendent (Exalted) Philosophy. In the early twentieth century, Allama Muhammad Iqbal reshaped and revitalized Islamic philosophy amongst the Muslims of the Indian sub-continent. Besides his Urdu and Persian poetical work, The Reconstruction of Religious Thought in Islam. is a milestone in the modern political philosophy of Islam. From the mid-nineteenth century, Islamic philosophers have sought to redefine Islamic philosophy, seeking to establish a distinctive form of thought and the meet the challenge of Western culture. Writers such as Hasan Hanafi and Ali Mazrui have aimed to give Islamic thought a global perspective and provide an agenda for world unity. There is a continuing interest in mystical and illuminationist thought, especially in Iran. Modern Islamic philosophers also seek to relate non-Islamic philosophical concepts such as Hegelianism and existentialism to Islam. ↑ Ted Honderich, The Oxford Companion to Philosophy (Oxford: Oxford University Press, 1995), 447. ↑ Abdel Wahab El Messeri, Who was Ibn Rushd? Episode 21: Ibn Rushd. Retrieved December 13, 2007. ↑ Fauzi M. Najjar, The debate on Islam and secularism in Egypt, CNET Networks, Inc. Retrieved December 13, 2007. ↑ Majid Fakhry, Averroes: His Life, Works and Influence (Oneworld Publications, 2001, ISBN 1851682694). 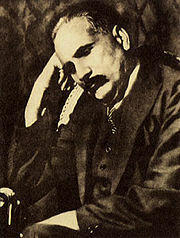 ↑ www.allamaiqbal.com, Iqbal. Retrieved December 13, 2007. ↑ Dr. Muhammad Iqbal,The Reconstruction of Religious Thought in Islam. Retrieved December 13, 2007. ↑ Edward Craig, Islamic Philosophy, Modern, Routledge Encyclopedia of Philosophy (London: Routledge, 1998), 410. Corbin, Henry. 1993. History of Islamic philosophy. London: Kegan Paul International. ISBN 9780710304162. Craig, Edward. 1998. Routledge Encyclopedia of Philosophy. London: Routledge. ISBN 9780415073103. Fakhry, Majid. 1970. A History of Islamic Philosophy. Studies in Oriental culture, no. 5. New York: Columbia University Press. ISBN 9780231032315. Honderich, Ted. 1995. The Oxford Companion to Philosophy. Oxford: Oxford University Press. ISBN 9780198661320. Madkour, Ibrahim Bayyumi. The Study of Islamic Philosophy. Nasr, Seyyed Hossein, and Oliver Leaman. 1996. History of Islamic Philosophy. London: Routledge. ISBN 9780415056670. Nasr, Seyyed Hossein. 2006. Islamic Philosophy From its Origin to the Present Philosophy in the Land of Prophecy. SUNY series in Islam. Albany: State University of New York Press. ISBN 9780791468005. Nasr, Seyyed Hossein, and Oliver Leaman. 1996. History of Islamic Philosophy. Routledge history of world philosophies, v. 1. London: Routledge. ISBN 9780415056670. Ṣadr, Muḥammad Bāqir, and Shams Constantine Inati. 1987. Our Philosophy. London: Muhammadi Trust in association with KPI. ISBN 9780710301796. Dictionary of Islamic Philosophical Terms. The meaning and concept of philosophy in Islam by Hossein Nasr. The Study of Islamic Philosophy. Islamic Philosophy by Oliver Leaman. This page was last modified on 7 March 2018, at 23:45.